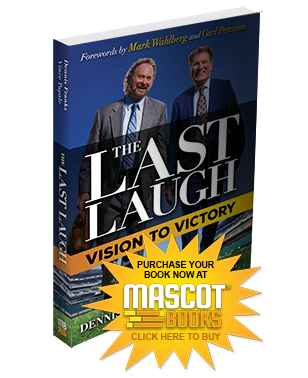 Last Laugh Playbook | Read about our Vision to Victory! Are your goals going unmet? V ince Papale and Dennis Franks have seen their fair share of adversity. From being told they'd never make it in NFL to making the tough transition to the business world, the odds have seldom been in their favor. And yet, despite these challenges, Vince and Dennis have managed to meet their goals and get their last laugh. The answer is simple: The Victor's Code. The Victor's Code is the tool that has driven the achievement of elite athletes, entrepreneurs, artists, authors, actors, and influencers from across the professional space. It's the force that took two underdogs to the top of their game, both on the football field and in the boardroom. Grab the book and take your seat at the table with Vince, Dennis, and their star-studded hall of fame. What you'll achieve will astound you. 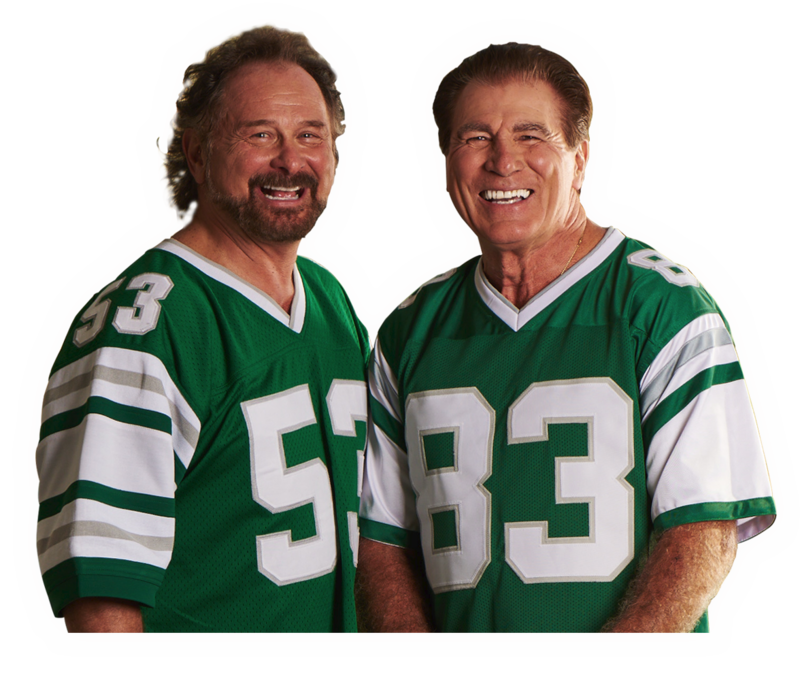 "Vince Papale and Denny Franks give new meaning to the term "special teams". Their against-all-odds story of life in the NFL and after will inspire you." 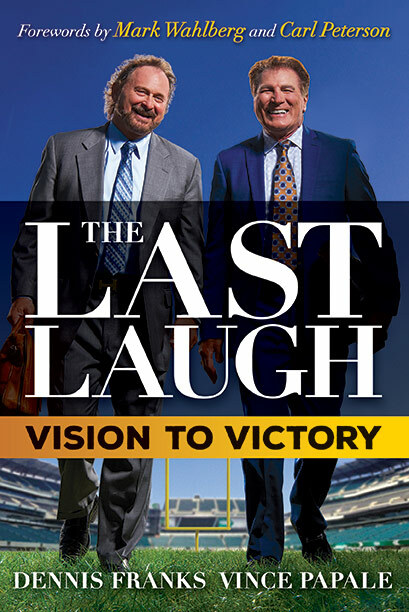 "Like many of us who dare to rise above life's challenges, after reading Dennis and Vince's powerful story, it's easy to see how an unstoppable dream and fearless courage met 'victory'; The Last Laugh is full of energy, ideas, and inspiration. It's a winning formula for a brilliant life!" Purchase your book today at any of these 3 convenient locations! "Vince Papale and Denny Franks were great teammates. They had an incredible passion for the game of football and the game of life. It is no surprise to me that they get the last laugh." Interested in Vince and Dennis speaking at your event? Describes behaviors and ethics that have undergirded every success. the state of being able to see. Showing great energy or passion. The habit of speaking the truth. The ability to thrive and survive in the face of obstacles. The accomplishment of an aim of purpose.